Given that these days the majority of people prefer to stream television content on their own schedule, producing programming that ranks high in real-time viewership is no small achievement. Certainly, sporting and awards event television retain their real-time charm, but the Discovery Channel is betting on the live-appeal of one of its most popular TV-viewing events: Shark Week. Over the years, Shark Week has increasingly become “a live viewing event” according Conal Byrne, SVP of Digital Media for Discovery Communication. However this may be as much a reflection of Shark Week’s high levels of social engagement as it is of the network’s on-air programming. Byrne says that Shark Week has evolved from classic prime time fare to the sort of television-inspired social occasion that he likens to Super Bowl parties: “The event of watching the show has become almost as big as the show itself.” Byrne adds that as this social viewing progressed, Discovery began to see an opportunity to create social media experiences that reflect the real-time fan engagement around Shark Week. Byrne says that Discovery Channel has experimented with real-time social video in the past, citing last year’s premiere of Mythbusters when they took a production team out to the livestream of the hosts watching the premiere from the warehouse where the show is produced.. Byrne described the result as “a very real-time experience: Watch it now or it will be gone.” While he felt that was an effective approach, it was a significant production. 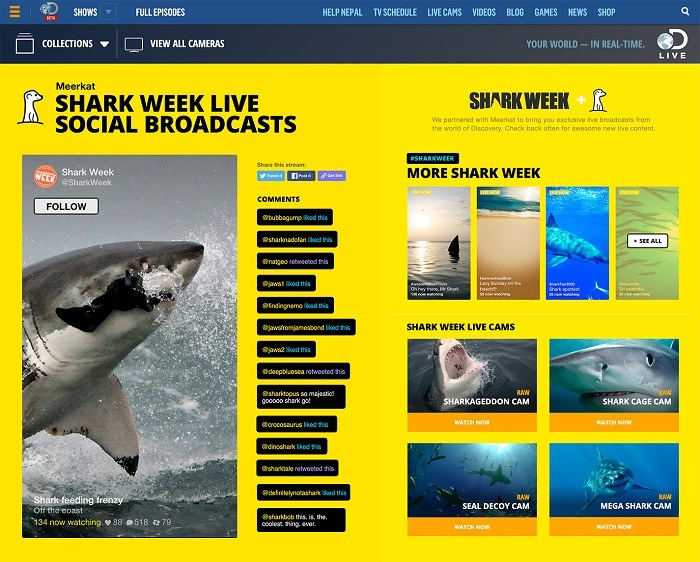 So, when they began thinking about a real-time streaming experience for Shark Week fans, he reached out to Meerkat—which they’d worked with in the past for Animal Planet — and learned about their new embed functionality. “It was one of those happy coincidences; they were building exactly what we needed,” said Byrne, and one that would provide ease of production and included social and interactive features that make it not only easier and less expensive, but better optimized to suit the socially-engaged fan base. Byrne marvels at the exciting pace at which digital media evolves, saying that “between the time we conceived of this idea and set a release date, live social broadcasting emerged and we knew that if we did Shark Week without live social broadcasting, we would be missing something.” Not only will Shark Week viewers be able to dive deeper with special Shark Week content through @SharkWeek on Meerkat and through Meerkat embeds at DLive, Byrne says that shark experts and fans alike can broadcast and be part of the programming. Among Discovery Channel’s plans for Meerkat are a live feeding from the National Aquarium in Baltimore, a celebration of “Findependance” at San Francisco’s Pier 39 fireworks and “Shark on the Street” Q&As with viewer giveaways. They also have plans for a series of “Finbassador” shark experts – from photographers to educators and conservationists – who will share inside stories on what it’s like to be a part of Shark Week. Byrne is particularly excited about the behind-the-scenes stories from Shark Week saying that “for me, some of the most exciting stuff at Shark Week literally happens behind the cameras. The cinematographers and producers are heroes!” Using Meerkat embed will allow some of these stories to get out of the boardroom and enhance audience’s understanding of what it takes to create Shark Week. Byrne says that social media has become a critical component of Discovery Channel’s digital strategy over the past several years and that they have experimented with a number of approaches. This has included an emphasis on on-air “social TV,” a curated approach, and a pure volume play in which they tracked mentions and engagements. This year, he says that the social media strategy has been “very curated and intentional,” and part of every production conversation. Right now, monetizing the Meerkat experience is not something he’s highly focused on. Byrne says that not only does he feel lucky to have the support of Discovery Channel in allowing for constant experimentation, but that pushing to monetize too soon can be detrimental. “When we first roll out a cutting edge idea like this, the primary gauge is whether or not it resonates with the superfans and makes more fans.” While Meerkat does provide ways to integrate sponsors, Byrne says they will focus on the fan experience, collect the data, and then consider how best to monetize. “You can definitely kill a product and its potential if [revenue] is your first priority.” With Shark Week, the focus is squarely on enhancing the real-time fans’ experience and engagement. Today’s consumers own a variety of streaming video-capable screens and they are using these devices more than they did a year ago according to the Interactive Advertising Bureau (IAB) report “The Changing TV Experience: Attitudes and Usage Across Multiple Screens,” an in-depth study that explores new ground in the ongoing dramatic shift in consumers’ television viewing habits. The IAB found that US adults surveyed say they spend nearly 5 hrs a day on their computer, slightly more than they spend watching TV. The next most used devices are smartphone (3.6 hrs) and connected TV (2.4 hrs). Three quarters of connected TV/device owners and roughly half of computer, tablet or smartphone owners report streaming online video at least once a month. 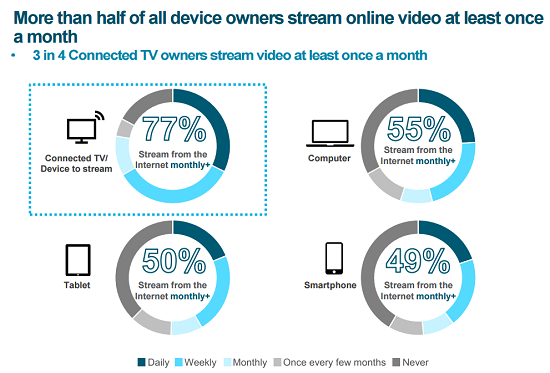 One-third of connected TV owners stream video to their TV daily. One in four computer owners and one in five smartphone or tablet owners stream video daily. 84% of smartphone multiscreeners do so daily, as do 79% of computer multiscreeners and 65% on tablets. The rise in multitasking is driven by smartphone and tablet owners: Multiscreening activity has increased for 40% of smartphone multiscreeners, 39% who do so on tablets and 28% on computers. To view the full “The Changing TV Experience: Attitudes and Usage Across Multiple Screens” report, visit www.iab.net/changingtv. 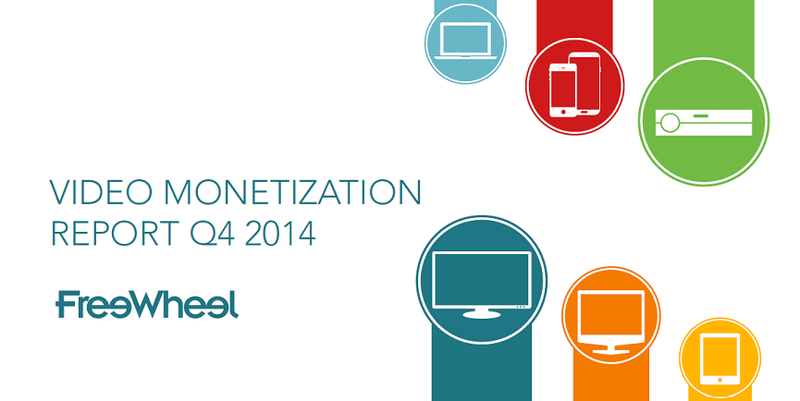 comScore has released its 2015 U.S. Digital Future in Focus. The report provides a year in review of the major shifts in digital consumer behavior that occurred in various online sectors, including mobile, social media, video, advertising, search and e-commerce. Furthermore, it examines what insights can be gathered from these trends and what that means looking forward to the year ahead. Across every age demographic, there is a substantially higher percentage of multi-platform and mobile-only internet users than the previous year. More than 3/4ths of all digital consumers (age 18+) are now using both desktop and mobile platforms to access the internet, up from 68 percent a year ago. Mobile-only internet usage is also becoming more prevalent, driven largely by the 21 percent of Millennials who are no longer using desktop computers to go online. Meanwhile, the 55-years-and-older consumer segment is actually the fastest growing faction of mobile users, increasing its combined multi-platform and mobile-only share of audience from 60 percent to 74 percent in the past year. Because people prefer different devices depending on the online activity or task, the desktop vs. mobile skews by content category can vary widely. Categories such as Photos and Maps are more often than not used on the go, lending themselves to heavy mobile usage, while the Portals and Business/Finance categories comparatively index much higher on desktop devices. Although Portals function as an accessible hub of information on desktop, the mobile environment is markedly different where apps have taken on the role as the gateway to the web. The majority of digital content is consumed on mobile devices. Most people check their phone before brushing their teeth. And more than 90% of people have their mobile device within reach 24/7. This behavior creates an unprecedented opportunity to deliver mobile content and marketing; it also means that the breadth of use-cases, expectations and needs vary as much as the times and places consumers find themselves using their devices throughout any given day. Mobile is not just the most popular way to experience digital content; it is also the most personal — and perhaps most complex — way to do so as well. At Digital Content Next’s members-only Mobile Day held December 5th at The New York Times building, speakers shared a wide range of approaches to and experimentation with mobile content and delivery. They also examined some of the distinct challenges of meeting the demands of today’s mobile content consumer. In contrast to those voices, Vox Media Product Manager Lauren Rabaino told DCN Members that they recently “killed mobile apps” opting to go with responsive design throughout its network of sites. As a company recognized for its agility and technological acumen, the move to streamline from four code bases to a single one can clearly be seen as allowing the company to focus on delivering an optimal website experience across devices. It also allows standardization of ad units for delivery throughout its seven brand sites. Sara Poorsattar, The New York Times’ Director of Video Products, has found that page views are higher in mobile environments, but noted that because of the “additional commitment and barrier of entry in mobile,” they do better with video on the website. However, they also see a lot of video views coming through YouTube because of the prevalence of the YouTube app. 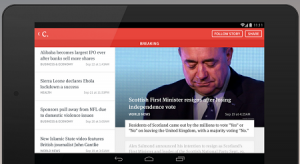 Poorsattar said that the Times is looking closely at the offline experience in developing for mobile, noting that video news is something users might want to consume during a commute or other times when they have time to focus on longer form but may lack consistent connectivity. For the Times, mobile video represents an opportunity to reach younger and international audiences. CNBC is also among those that believe content needs to be available on a wide range of delivery channels including YouTube and Facebook to reach a younger demographic while its older demographic is more inclined to use the app. Interestingly, Christy Tanner SVP and GM of CBS Interactive Media Group revealed that the TVGuide app experience is the only one that its under 35 demo (about a third of its audience) really knows, despite the fact that it is a 60 year print-legacy brand. 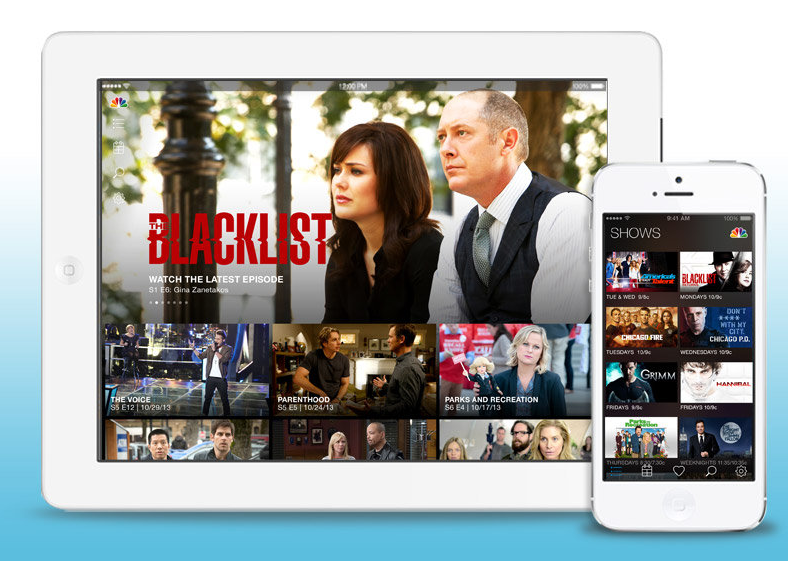 Tanner said that her company, which launched CBS All Access a few months ago, is focused not just on mobile but on creating a true multi-screen experience because “it is possible to engage audiences, and for them to have shared experiences, on any size screen.” And, as Newhouse from Condé Nast said, “It’s a mobile dominated world. This is the core device we use everywhere, but it is just another means to an end. Content absorption is not device specific.” While there are certainly ways in which content and experience can be optimized for time and context of mobile consumption, mobile cannot be conceived of in a silo. While it is a dominant part of users’ content consumption habits, creating a seamless experience across devices remains the goal. Meredith reaches 60% of millennial women adults across its platforms. That’s more than MTV or Netflix. And, just over a year into her tenure as Vice President, Video Production and Product for the Meredith National Media Group, Laura Rowley plans to deliver content to this audience exactly when they need it and where they want it. To that end, Meredith recently announced that its Better Homes and Gardens brand has made its way onto Connected TV. 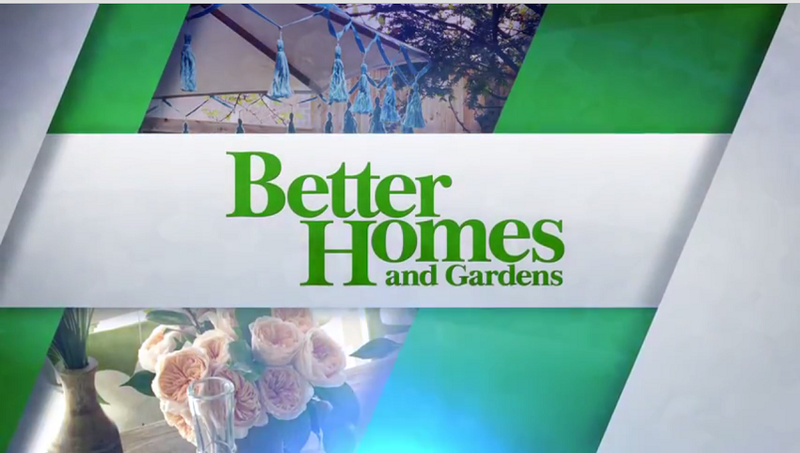 The Better Homes and Gardens show will air twice a month on Net2TV’s Portico TV service, which is distributed to more than 30 million screens via smart TVs from Samsung, LG, Sharp and Philips; on Roku-connected TVs; and on Toshiba tablets and notebooks. The shows will also available online at www.portico.tv. Rowley feels strongly that among Meredith’s 14 magazine titles and nearly 100 special interest publications, the Better Homes and Garden brand was the right title to begin with. “It is an ideal launching pad for Connected TV because it not only has the widest potential audience, but also the best content for a lean back experience.” That, she feels, is the sweet spot for Connected TV, as opposed to lean-in moments that are better suited for desktop or mobile. She also says Meredith is continuing to experiment on content including quality, subject matter, duration and delivery. Next month, as part of the Meredith Originals strategy, the Parents brand will debut a web-based reality show called Baby Sleep 911. The series will follow a baby sleep-whisperer who offers tips and expertise for sleep-deprived parents. ESPN has a team of 15 people on the ground in Brazil providing coverage that is being leveraged across all of its platforms. The work they do will be used for breaking news, analysis, digital features and shorts, and stories for broadcast and print. “All of our reporters are thinking multiplatform at all times,” says Stiegman. “At the World Cup, they are ESPN reporters, not specific to a delivery platform.” For example, Michael Davies and Roger Bennett, who are well known for their popular Men in Blazers podcasts on Grantland, are contributing daily blog posts to ESPN FC. In turn, segments of broadcast video commentary are available on the website and in ESPN’s apps. 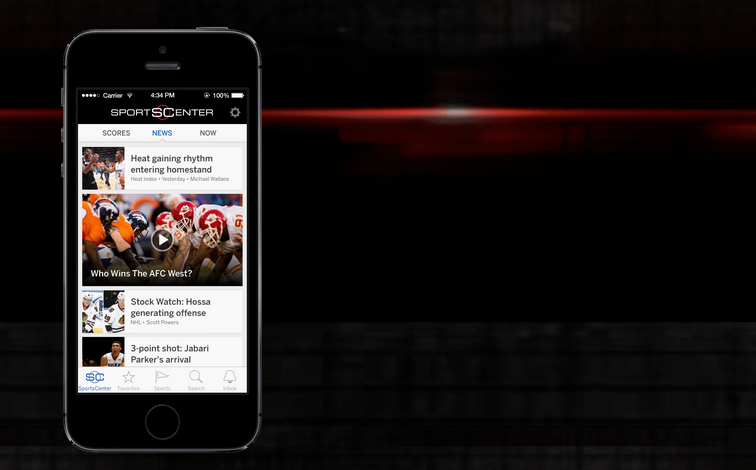 A “huge step in ESPN’s digital strategy is personalization,” according to Stiegman. “Increasingly, we see the drive toward personalization. In more than a third of our visits, fans spend time in clubhouses and take a team-specific approach. They want the higher level stuff, but also want to follow their teams in depth.” To that end, the ESPN FC app starts with IP-based geolocation, and then prompts users to set which edition they want. Options include regional or specific team-centric coverage as well as language options that include Spanish and Portuguese. All matches will be available online in Portuguese via ESPN Deportes as well. 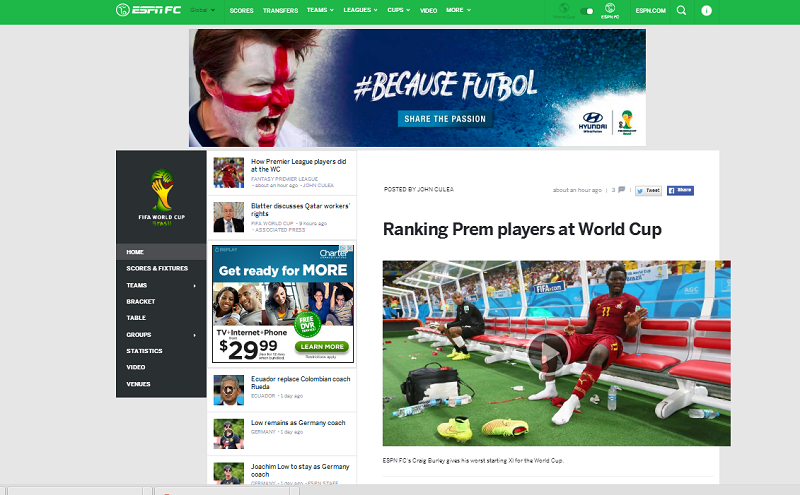 Another significant piece of the company’s strategy that has allowed ESPN to provide such extensive digital availability of this year’s World Cup is the company’s work over the past several years to improve authentication, particularly ease of use. “With WatchESPN, we’ve been working hard for some time to make it as easy as possible for fans to authenticate as cable subscribers.” ESPN currently has digital authentication deals with Comcast, Time Warner Cable and Dish. In the meantime, Lipsman says that it is important to continue to develop cross-platform measurement so that media companies “get credit for the full audience they reach” but also so that marketers can more effectively address those audiences. Currently, much advertising buying and selling remains channel focused—desktop, mobile, television, print. However many believe that the most effective initiatives are user-centric, finding the right audience wherever they are with the appropriate message. “One of the most important, critical points in this whole debate is that, to optimize GRPs, you need to be able to look at all of the channels together to optimize for reach and frequency goals,” says Lipsman. comScore’s study examined the incremental reach by channel for the duration of a given campaign. In a frozen vegetable brand example, the campaign’s cumulative reach via TV hit a plateau halfway through the campaign, providing no significant additional reach despite continued spend. However, the incremental reach provided by digital platforms (in this case, web and online video) continued to increase even after TV reach had flattened, resulting in a 12.2% increase over the course of the 14-week campaign. As Lipsman points out, this level of multichannel awareness will provide a way for marketers to address audiences more efficiently and to spend more effectively given limited budgets. This Q&A is part of OPA’s “Three on Three” series where we ask three industry executives the same three questions on a topic to uncover actionable insights… If you want to learn more, keep an eye out on our site for more interviews. Today’s Three on Three interview is with Kate Lewis, VP, Content Operations & Editorial Director Hearst Magazines Digital Media on Delivering Compelling Multiscreen Experiences. Q: Where do you start in conceiving of a multiscreen user experience? A: Honestly, that’s just not how we think about it. We think audience first. Our audience is coming through search, social and direct. We do find that social primarily takes place on the phone and when we factor in viral, we have to consider whether the content is something a reader is going to click on while looking at their Facebook page or Twitter feed on a phone. But we don’t obsess about whether you are on a tablet or at your desk. I don’t get data on how stories are performing on devices; I look at how a story is performing period. To some extent, we are trying to think of everything from a mobile-first perspective now. A lot of our sites are female-driven and we find that female audiences are more phone and tablet oriented. But really, we don’t think about screens. We think about how to connect with audiences. One thing we do look at is what we deliver at different times of day, when people are likely to be using different devices. Lunchtime is a big desktop time so we can think about delivering something longer and ways we can entice them to move around the site. At 6:00 p.m., we know it is a phone or tablet time of day. Then we are thinking about offering more “sound bites” or things like “23 Problems Only Tall Women Have.” It isn’t just a matter of device use at that time, though, it is also about how the audience is feeling and what they are in the mood for: “What can I relate to?” “What will free my mind from what I’ve been doing all day?” The content won’t change from desktop to phone. Of course the majority of our sites are designed responsively so the experience is good on desktop and mobile. On mobile, the experience cannot be convoluted; it has to be straightforward with really clear pathing. That is affecting how we design all of our digital experiences. We want to let the content speak for itself. Q: Describe a recent multiscreen experiences that you think worked particularly well. They—rightly—felt compelled to cover what is happening in Ukraine. Yet they wanted to do it in a way that was appropriate to the brand and would take advantage of what is wonderful about digital. They didn’t want it to feel like a formal news site and they wanted it to feel connected in a human sense. The approach they took was to collect Instagram photos from before and after the uprising in the Ukraine and juxtapose them against each other. Think about it: It is so internet friendly, and nothing is more mobile-friendly than Instagram. Plus, it allowed them to tell a real news story with something totally relatable as the medium—everyone is on Instagram from Crimea to L.A.
Q: What do you see as the biggest opportunity in developing multiscreen experiences? A: The ability to be with your audience all day, every day, everywhere. We are literally in the reader’s pocket. It is incredible. We used to think in terms of one deep experience a day. Now we think about delivering a core reader that deep experience plus making ten other touch points a day. We are holding their hand in line at the grocery store and keeping them company on a long subway ride. This also lets us gauge in real time how stories are performing and if they resonate with our audience. There is still a lot of long tail success in our content, but there’s a lot of in-the-moment content and today we can react very quickly. We can see things in social that weren’t happening on our site and react very quickly. All of this deepens the relationship with our audiences. They swipe the phone open and we are there. And that connection is more intimate than ever, which influences the editorial voice and how we communicate. Facebook, for example, has changed the tone of digital. Content needs to feel friendly, it also needs to feel urgent because there are so many things competing for attention on someone’s. And it needs to be engaging in the first sound bite because, on a phone, you only have a tiny screen, and a small window of opportunity, to engage. Kate Lewis is the Vice President, Content Operations & Editorial Director at Hearst Magazines Digital Media, responsible for managing the content organizations of 24 sites, including digital brands Cosmopolitan.com, Esquire.com, Elle.com, CarandDriver.com, and HarpersBazaar.com, and pure-plays including Delish.com. January was Hearst Magazines Digital Media’s best month with 85.5 million uniques. Prior to Hearst, Lewis worked at Say Media in a similar role, overseeing content strategy and operations for a number Say’s own sites including xoJane, Remodelista, and ReadWrite, as well as a number of network sites. Originally a print editor, she spent 18 years at Conde Nast working on brands like Vanity Fair, Glamour, and SELF. Her last role there was editorial lead in the Human Resources department. Note: This Q&A is part of OPA’s “Three on Three” series where we ask three industry executives the same three questions on a topic to uncover actionable insights. A: The best place to start is at the beginning. That may sound obvious, but really, the most effective multiscreen experiences happen early on before a project is too far down the path of content development. 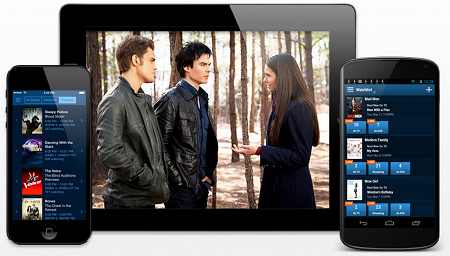 For a multiscreen experience, we like to get into the digital DNA of the show and develop that story organically. In my experience at NBC, digital is tightly integrated with the programming department. We all report up into the same chairman and we are not siloed. When we have an idea for a show, digital is there in the early stages. I have a team that sits with the programming executives. Our digital executives, who develop what those digital extensions will be, work in parallel with other creative channels, which allows digital to develop more holistically. At the end of the day, it delivers a better user experience because digital is not an add-on; it feels natural to the program. You need to be involved from the beginning and it needs to start with the content and programing itself. Really, if a user is thinking about screens and not the content, you have failed to make a true connection with your audience. All of the experiences, from one screen to the next, need to act in concert with one another, resulting in an overall experience that is greater than the sum of the individual parts. Q: Describe a recent multiscreen project that you feel was particularly innovative and successful. A: There are actually two shows that are great examples of this and while they’re extremely different from one another, both exemplify innovative and successful multiscreen initiatives. The first one is The Voice. While the show was a hit internationally, it was virtually unknown domestically when Talpa brought it to NBC. From Season One, with several other music shows already established, we knew we had to take The Voice to the next level. So we set out to create a deeper, more compelling interactive experience than any show before it had done. It was essential to make the fans feel part of the show from the moment it premiered. The Voice pioneered the use of real-time social mentions on-air, igniting social conversation that began with the airing on the east coast and continued throughout the season. Our embedded social team was on set day in and day out capturing behind the scenes content that’s only possible by being physically on location. Our social experts then crafted custom social art and conversation specific to each social platform, creating a richness and organic feel to new and existing fans in ways that felt personal and relevant to them individually and collectively. Most recently, we added “the live Twitter save,” which lets fans at home instantly save their favorite artist from those who are at risk of elimination moments later. A second example of our approach to multiscreen is around a show we launched last fall called Million Second Quiz. From the start, this show was created to be a multiscreen experience. It premiered in September but in early August, we launched a robust app and site where people could go and compete with others, answering trivia questions that appeared in the show itself. While the game could be played just for fun, once you hit certain levels, you were qualified to be a contestant on the show. This let the digital experience not only create awareness for the show, but also allowed us to use digital for prequalifying, serving as a casting call for people to appear on the show itself. I think that Million Second Quiz was groundbreaking in how it removed the disconnection between a show and its digital experience. Users of the app and site were now part of the show, competing in the same way and for the same prize as those who were on the air. This is the power of an interactive, multiscreen experience in that it can turn TV into a massive multi-player game. And we have only really scratched the surface of what we can do creatively to empower more viewers to activate around the television experience and change the definition of storytelling. It worked well for us in all of these areas, but the gaming experience alone was incredibly successful. We had had more than 2 million downloads. We trended at #1 for a time on iTunes and stayed in the top 25 through the premier and run of the show. When the show went live, you could play along with the show, but you could also play any time. We had up to 500,000 concurrent players. The Voice and Million Second Quiz are great examples of what you can accomplish when digital is part of your strategy right from the beginning. A: I think that this is the big opportunity: To create shows that incorporate organic multiscreen experiences. I think that it reflects how consumer behavior has changed. Consumers and creatives expect digital extensions for more and more experiences and television programming is no different. And from the programming perspective, digital allows shows to live beyond the 30 or 60 minutes they are on the air each week. These multi-platform experiences let users engage with that content and the brand for the rest of the time until the show airs again. Multi-platform experiences give brands a way to participate along with consumers. Think about the nature of live programming: As television viewing becomes more and more fractured, innovation in this area gives the industry a way to engage fans and get them to view live. And if through these multi-platform experiences, we can engage fans in a way that increases ratings even one-tenth of a point that falls right to the bottom line. Robert Hayes was named to the newly created position of Executive Vice President, Digital Media, NBC Entertainment, in May 2012. He reports to Len Fogge, President, NBC Entertainment Marketing & Digital. Previously, Hayes was COO of Iconic Entertainment Inc., where he was responsible for creating premium VOD channels for YouTube and other premium over-the-top distributors. Prior to that, Hayes made his biggest impact at Showtime Networks Inc. where he oversaw all things digital for the premium network, developing robust multi-platform identities for such critically acclaimed shows as “Dexter,” “Weeds,” “Nurse Jackie,” “Californication” and “The Tudors.” Earlier in his career, Hayes served as Vice President of Business Development and Vice President, International Business Development, assessing opportunities for Showtime and other Viacom brands. Hayes has received numerous industry awards, including a 2010 Primetime Emmy for Outstanding Achievement in Engineering Development for Showtime Sports Interactive. This Q&A is part of OPA’s “Three on Three” series where we ask three industry executives the same three questions on a topic to uncover actionable insights… If you want to learn more, keep an eye out on our site for more interviews. Today’s Three on Three interview is with Ryan Spoon, SVP Digital Product, ESPN on Delivering Compelling Multiscreen Experiences. A: We think about multiscreen experiences in two primary and important ways: First, we program for the best screen available and optimize the experience and functionality accordingly. For instance, what a fan wants and expects on a mobile phone differs from the tablet which differs yet again from the big screen television. Second, while the functionality might change based on screen size and capability, the interactions and design should be familiar and cohesive. We almost always conceive of products and experiences as capable of being multiscreen and part of a larger product portfolio / offering. Q: Describe one of your recent or forthcoming multiscreen initiatives/projects. A: WatchESPN is a very good example because we have worked hard to make it available on all screens but special for each screen’s platform and use-case. WatchESPN has been released or updated on Apple TV, iOS, Android, Kindle, Roku XBox One and XBox 360−with more to come. We were careful to design the product specifically for each use case and platform and to take advantage of different functionalities and capabilities. For instance, the iPad application introduced the Live Toolbar which enables fans to watch multiple videos at once and access live scores. This functionality was specifically crafted for that device and platform. With Apple TV, we introduced Airplay integration and a standalone application. For example, you can fling a game from your iPhone to the television using airplay and now use your phone to follow gamecast or fantasy scores. In that case, the screens are interacting but each play a specific, standalone role. A: There are two big opportunities−and challenges−with multiscreen experiences, in my opinion. 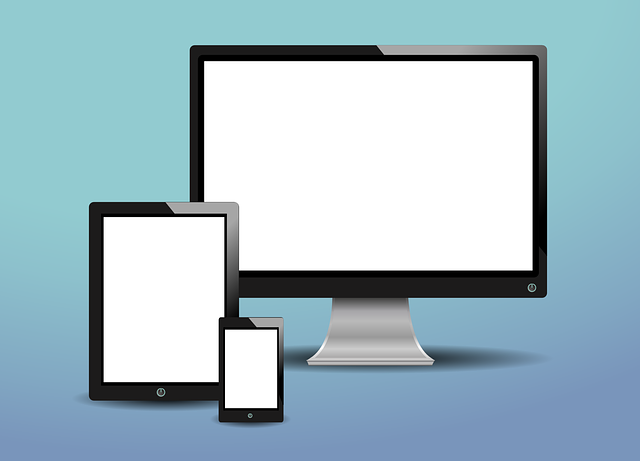 First, if you define multiscreen as functional across all devices and platforms, personalization and user familiarity are critical. For instance, if I move from iPhone to desktop and then to tablet, everything should be synced, familiar and painless. Login and personalization are the key. Second, if you define multiscreen as two screens functioning concurrently, the challenge and opportunity are to eliminate friction. Simply asking users to open multiple devices at once is a logistical and funnel challenge. Making it simple and contextual is very challenging. But ultimately, it is the right way to do it. I think we are making strides through cross-application deep-linking, Airplay integration and improved television integration, as examples. I think Twitter is also doing interesting work with their “See It” button integrations. These are all steps forward. Ryan Spoon was named Senior Vice President, Product Development in July 2012. In this role, he is responsible for digital product development across all screens, including ESPN.com, ESPN Mobile, WatchESPN, ESPN3, Fantasy, and Social Media. Prior to ESPN, Spoon was a venture capitalist at Polaris Venture Partners and specialized in early-stage consumer internet, social media and e-commerce investments. Previously, Spoon served as Vice President, Marketing and Business Development for Widgetbox (now Flite) — a platform for brands and publishers to create dynamic, shareable ad units. Prior to that, Spoon spent 2003 to 2007 at eBay, focusing on internet marketing, user acquisition and social products, while launching and managing eBay’s U.S. Classifieds business. While he was a collegiate swimmer for Duke University, Spoon founded beRecruited, an online recruiting platform for high school student-athletes and college coaches. beRecruited was acquired in 2007 by RVS Ventures. This Q&A is part of OPA’s “Three on Three” series where we ask three industry executives the same three questions on a topic to uncover actionable insights… If you want to learn more, keep an eye out on our site for more interviews. Today’s Three on Three interview is with Jeff Misenti, Chief Digital Officer, Fox News on the subject of cross-platform advertising. Q: What is the biggest hurdle in creating, selling and delivering cross-platform advertising initiatives? A:I think that the biggest hurdle is the coordination and collaboration of all the parties involved. This includes the internal coordination among our Editorial, Production, Programming, and Sales Team. There is also communication with the Agency and the Client that must be clear and accounted for. All of these pieces need to fuse together seamlessly in order to reach our shared goal. A:We are currently exploring a campaign, featured once a week, which has a natural extension to a live online component. A prospective client approached us looking for ways to engage the audience into a custom campaign. Fox News Channel has a particular show that digitally engages with its audience during live tapings. We are working with both the show teams and advertisers to develop a Google Hangout where we can draw in viewers in to interact live with show talent. Q: How do you approach the cross-platform sale organizationally? A:In every organization, internal priorities differ. In order to succeed and create winning cross platform initiatives everyone must conform, at times, while also staying true to his or her own goals and responsibilities for the organization. The sales cycle might require more time and resources to be collaborative and creative with clients and agencies to propose innovative campaigns. This approach may mean that we have more work to do to integrate the campaign; but again to my point – the execution of the planning stages is just as if not more crucial to launching a successful program. All parties put in a lot of time, effort and money and we need to make sure it isn’t wasted. And if we are successful with our advertisers, they are coming back proactively for ideas around new initiatives and campaigns. It is also important to develop trust across the organization. As basic as it sounds, we all tend to overcomplicate things. If you and your peers are looking out for each other’s objectives in these situations, there will always be trust – and with hard work and trust, comes victory. Jeff Misenti is the Chief Digital Officer for the Fox News and Fox Business networks. In this role he is responsible for the strategic direction of the products under Fox News’ digital portfolio. 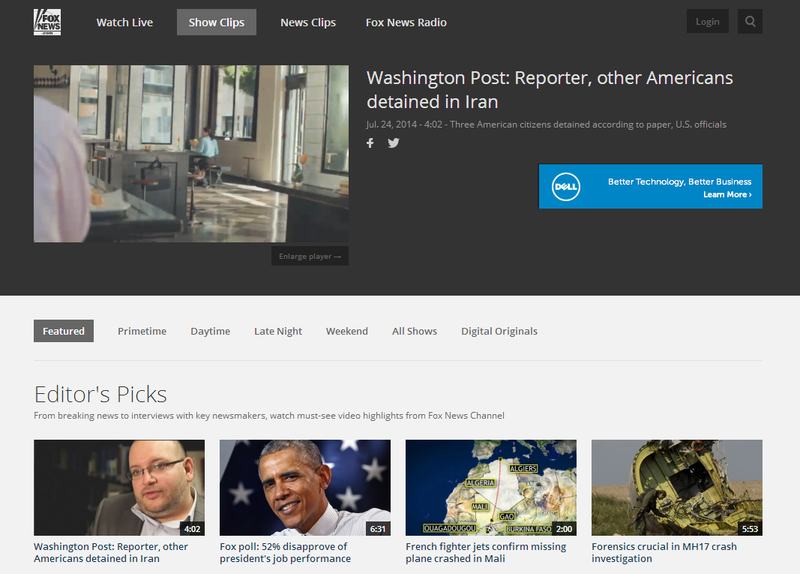 As a digital media veteran of 12 years, Misenti joined Fox News Network in 2007 to manage the success and growing presence of the Fox News and Fox Business digital properties. Coupled with his previous knowledge gained at Dow Jones/MarketWatch – where he constructed business-to-business and consumer business units – he has acquired the expertise of leading the most successful branded media websites. His wealth of knowledge and experience has garnered him a passion and successful presence in digital media.